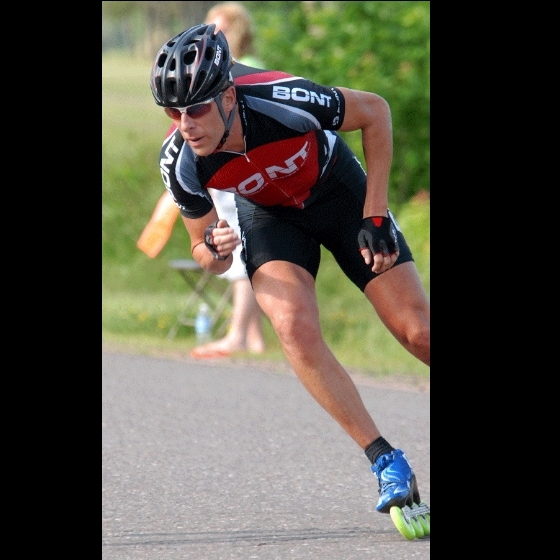 Solo, Again - Mike Anderson, 40, skates alone on his way to his second straight win in the Big Granite Marathon. Anderson broke away from the lead pack on its second trip up the Big Hill. From then on, he skated solo.